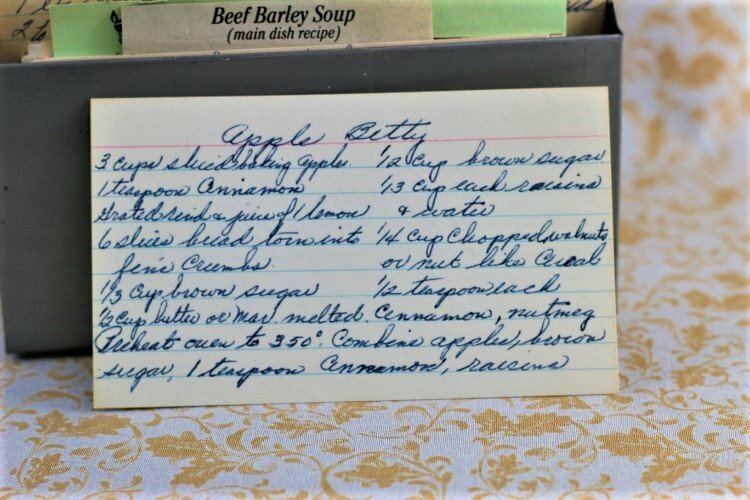 Front of the recipe card for Apple Betty. Back of the recipe card for Apple Betty. 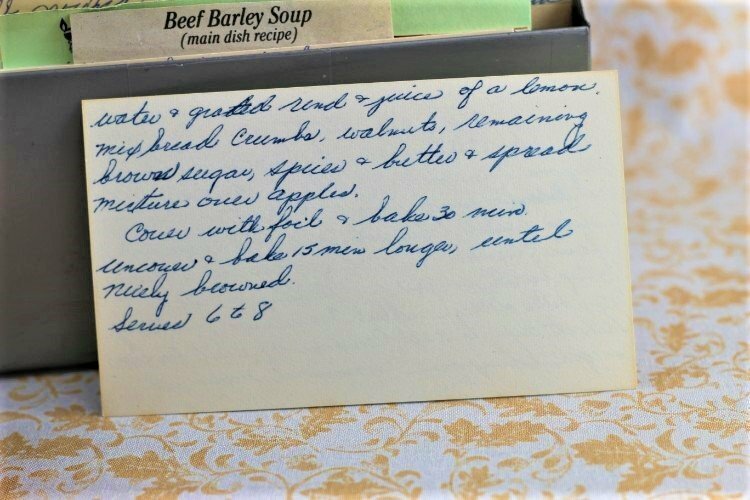 There are lots of fun recipes to read in the box this recipe for Apple Betty was with. Use the links below to view other recipes similar to this Apple Betty recipe. If you make this Apple Betty recipe, please share your photos and comments below! Combine apples, brown sugar, 1 teaspoon cinnamon, raisins, water & grated rind & juices of a lemon. Mix bread crumbs, walnuts, remaining brown sugar, spices & butter & spread mixture over apples. Cover with foil & bake 30 min. Uncover & bake 15 min longer until nicely browned.